Cold Remedy Cocktails: Do They Work? When it comes to adding a shot of alcohol to your cold or flu remedy, it's hard not to wish those boozy concoctions are doing some good for your health. As it turns out, they are. 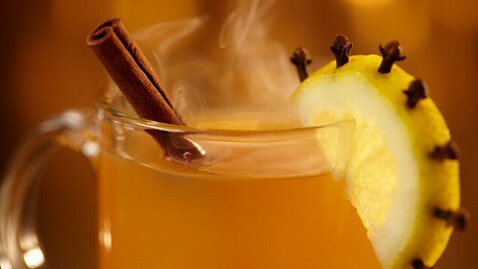 Drinks like hot toddies, which traditionally contain whiskey, lemon and honey, can actually give cold and flu patients relief from their symptoms, said Dr. William Schaffner, chair of preventive medicine at Vanderbilt University Medical Center in Nashville, Tenn. It just can't prevent or cure a cold or flu virus. "It would not have an effect on the virus itself, but its effect on the body can possibly give you some modest symptom relief," Schaffner said. "The alcohol dilates blood vessels a little bit, and that makes it easier for your mucus membranes to deal with the infection." Since Sept. 30, more than 5,100 influenza cases have been reported to the Centers for Disease Control and Prevention, including 40 cases of H1N1. Click here to read about how flu has little to do with cold weather. Schaffner said warm moisture from a steaming mug of any beverage can offer symptom relief. "That's part of why chicken soup is thought to work," he said. Any liquid is good, but people drinking spiked remedies need to be sure they're also keeping up their nonalcoholic fluids, Schaffner said. Alcohol, coffee and tea are diuretics, meaning they cause kidneys to get rid of fluid faster than they usually do. Schaffner recommends supplementing that flu cocktail with water and fruit juice (as long as it's not too sugary). A Japanese study this week found that an ingredient in beer can curb the respiratory syncytial virus, which causes cold- and flu-like symptoms, according to The Associated Press. The study, funded by Sapporo Breweries, found that humulone, a chemical in hops, can fight viruses. However, someone would have to drink 30 12-ounce cans of beer for it to work. "We would not recommend going out and drinking 30 bottles of beer every day to ward off the flu," Schaffner said. "Better to get vaccinated." Click here to read about five more flu-fighters.